It’s no secret that Boston homeowners are a trendy bunch. After all, the city is packed with young people who have come here for a great education, and lots of them are sticking around to make their mark in medical and tech careers. Their tastes have begun to drive home design trends across the region, so it’s no surprise that we’re seeing demand for smart spaces and upgraded amenities designed to enhance city living. Kitchens have been the centerpiece of the home for years, and it’s still the king of all renovations. Function and beauty are both important, and buyers today are looking for a large space to serve as the hub of the home — think homework centers, dining space and room for entertaining on top of the basic functions of cooking. Kitchens are also becoming more tech-focused, with smart appliances, tablets and even televisions finding a place in modern kitchens. Ultra-custom cabinets will help accommodate these needs while providing specialized storage. Instead of adding square footage to the kitchen, the trend is to open up the space to the rest of the home or to the outdoors by connecting it to a patio, deck or semi-sheltered area. A restful, Zen-like retreat is most homebuyers’ ideal when it comes to the bathroom. To accommodate the need for escape, buyers love bathrooms with whirlpool tubs and Jacuzzi jets as well as mood lighting. Radiant floor heating is also popular for comfort. For master baths meant to be shared by couples, the trend is towards having two of everything: sinks, shower heads, dressing areas, etc. Expanded bathrooms aren’t just bigger: They have “hidden” spots for privacy, like built-in dressing rooms, a nook with a makeup vanity, and other spots that make it easy for more than one person to share the space. Even smaller bathrooms are embracing larger showers or a separate tub/shower area, so today’s bathrooms are more luxurious than ever while allowing more than one person to have an efficient morning routine. It seems like just about anything can be connected to a smartphone these days, and an increasing number of homeowners are on board with this trend. From dimming the lights and checking your furnace’s efficiency by phone to adding electric car charging stations and solar panels that actually look great, Wi-Fi connected home automation and energy-efficient features are incredibly popular. 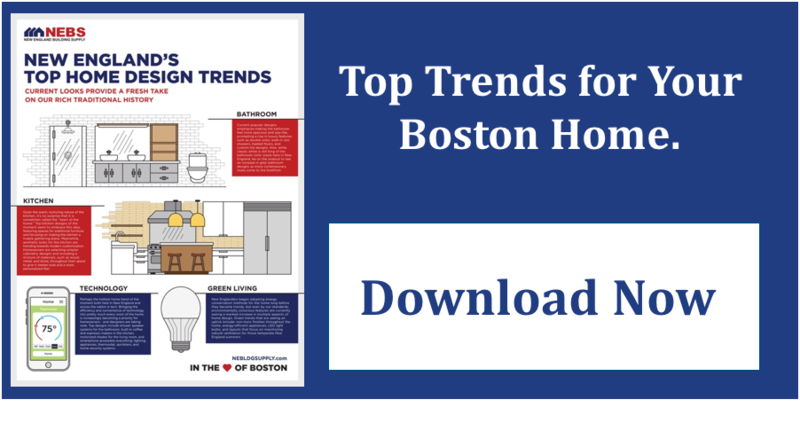 This is especially true in tech-savvy Boston, so adding these features are a great investment to appeal to modern buyers. Bonus tip: It’s not only young people who are interested in these trends. 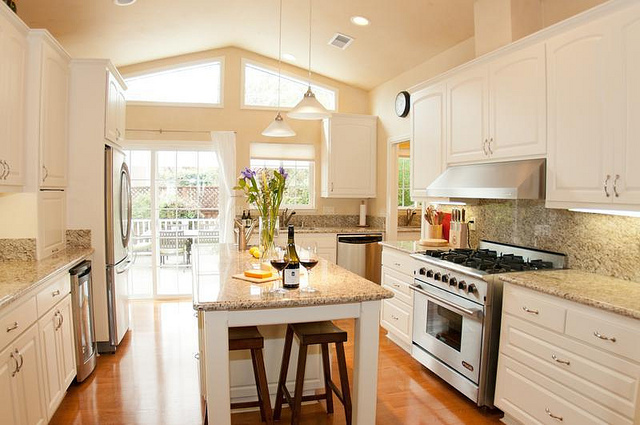 Aging homeowners with a good deal of equity are turning to remodeling, according to the Joint Center for Housing Studies at Harvard University, and they’re likely to want soup-to-nuts overhauls of their homes as they head into retirement. Many are planning to stay put, so a big renovation makes sense to make sure they get exactly what they want and need to age in place — and in style!